Are you getting enough of this crucial vitamin? An antioxidant, vitamin C promotes wrinkle-free skin, supports good immunity, and may help the body protect itself against some diseases, such as cardiovascular disease and cancer. Oranges and other citrus aren’t the only sources. These fall/winter vegetables offer ample amounts too. With cold and flu season around the corner, now is a good time to revamp your crisper drawer with these fresh picks. Cooking tip: Vitamin C can be easily lost in the cooking process, particularly when veggies are boiled and drained. To retain more nutrients, cook into soups or stews, or lightly steam or microwave. Roasting or broiling results in less vitamin retention than other methods, but the results are very delicious. Frying virtually obliterates vitamin C and other volatile nutrients. Our advice? Avoid frying, vary other cooking methods, and enjoy. Broccoli provides about 100 mg vitamin C per cup (chopped), plus sulforaphane, a potent antioxidant studied for its anticancer effects. Serving idea: Try lightly steaming and dressing with lemon juice (more C! ), olive oil and salt. 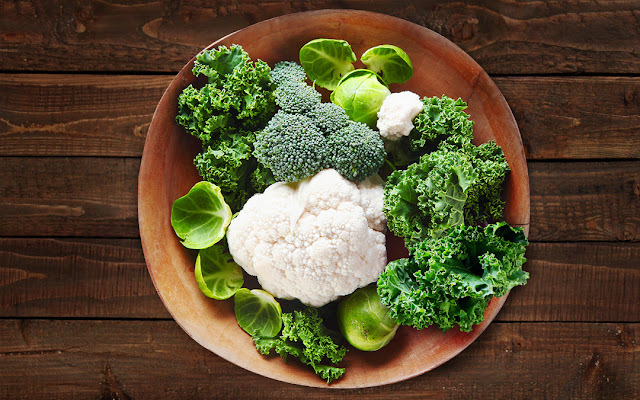 A cup of cauliflower contains approximately 93 mg vitamin C. Bonus: You’ll also get several grams of fiber. Serving idea: Steam cauliflower, then mash with miso, sesame oil and ginger; or garlic, olive oil and herbs. A cup of kale contains tons of vitamin A (twice your daily value), vitamin K, trace minerals and 80 mg of vitamin C.
Serving idea: Remove tough stems, chop, and massage with lemon juice, olive oil and a little garlic until slightly wilted. Let this sit at room temperature. Excellent add-ins: toasted sliced almonds, chopped hazelnuts, parmesan cheese or apple slices. The tiny cousins of green cabbage, Brussels sprouts contain 48 mg vitamin C per half cup.